Starting in September 2019, for 9 years in a row! You will support yourself and others through a clear and profound method that allows for exceptional depth and transformation. You will substantially enhance and embody your facilitating and client skills. You will receive experienced coaching and support. You will give yourself the gift of personal transformation and practice while you complete the training. You will learn to communicate with courage, integrity and compassion. You will be part of and co-create a community of committed practitioners in a wonderful learning environment. Gain insight, connection, compassion, resilience and a clear course of action. Support yourself and your clients in finding what gets in the way of their clarity, purpose, and passion through identifying and transforming obstacles into clear and actionable opportunities. The Inquiry-Based Coaching™ (IBC) Certification from Innerland is a training program designed for anyone that would like to support others and themselves in going beyond the surface of what holds them back in life, at work, and in personal relationships. It is a program designed for anyone that has a professional practice, as well as for those that feel stuck in repetitive patters that they can't break out of. ✅ Because you want to expand your emotional and mental well being with new, fresh, and powerful methods. ✅ Because you are stuck in repetitive patters that you can't break out of. ✅ Because you are interested in building a community of practitioners that wants deep conversation, deep connection, and deep understanding. ✅ Because you are interested in heartfelt leadership in every aspect of your life . ✅ Because you want to live an empowered life of joy, intensity, clarity where you feel fully alive. ✅ Because you want to understand the gifts you bring to the world and how to live from them. ✅ Because those difficult emotions (you know which ones) need a place of true holding, meeting, witnessing, and understanding from which you can harvest the wisdom they have been holding for you all along. ✅ Because you want the 'how' to be able to transform every obstacle into an opportunity. Time commitment is approx. 2-3 hours per week. The course scheduling is 80% flexible. 1 Monthly individual call with Dr. Pedro Cortina. After completing two years in the Innerland Coaching Certification Program you will receive the Innerland Certified Coach ™ recognition. This will give you access to be listed in the Innerland website as well as the opportunity to use the "Innerland Certified Coach" seal in your stationary, website, and other communications. Innerland Coaches are often recognized as highly capable and trustworthy individuals that have a profound willingness and capacity to hold Inquiry-Based Coaching ™ with individual clients and organizations. This program also has the validation of seven years of continuous offerings with graduates from around the world. We also welcome participants to join us for one-year only and experience a deep immersion in Inquiry-Based Coaching ™. 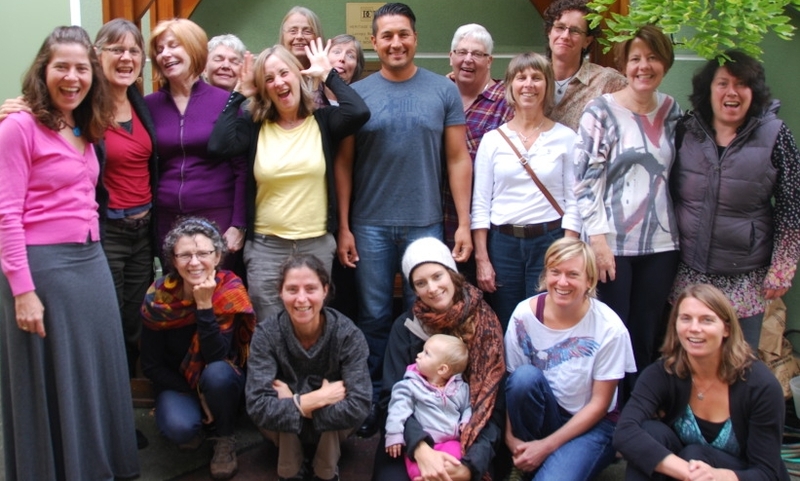 This is a deeply fulfilling program on its own accord where you will be part of a community that is committed to the wholehearted and deep practice of this extraordinary methodology. To learn more about the One-Year Immersion please get in touch with us here.